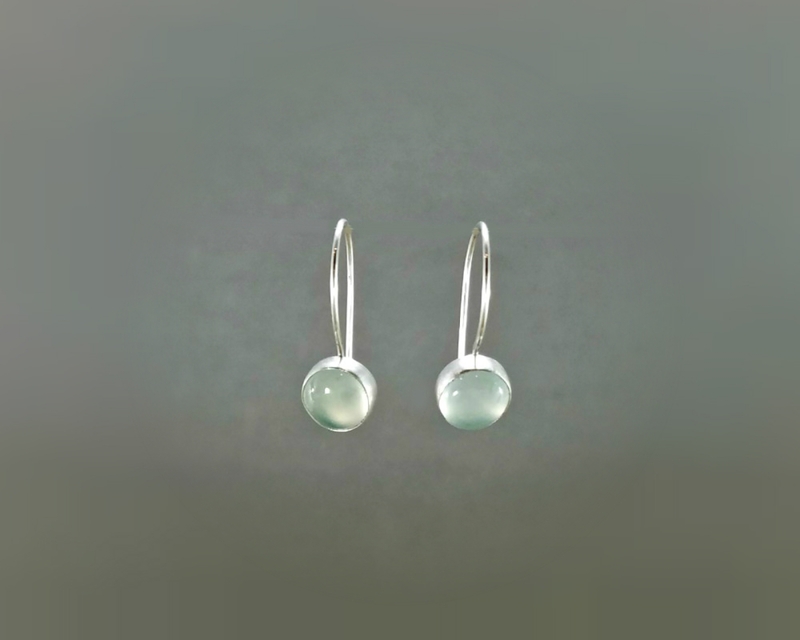 Light blue chalcedony earrings that shimmer in the light. 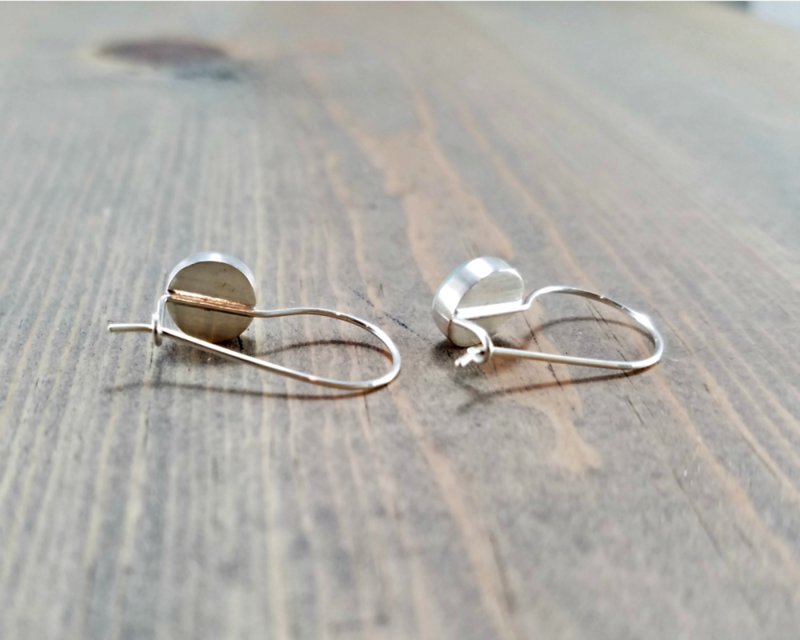 These earrings with a lightweight kidney wire locking latch pair well with anything and go from day to evening. A perfect "something blue". 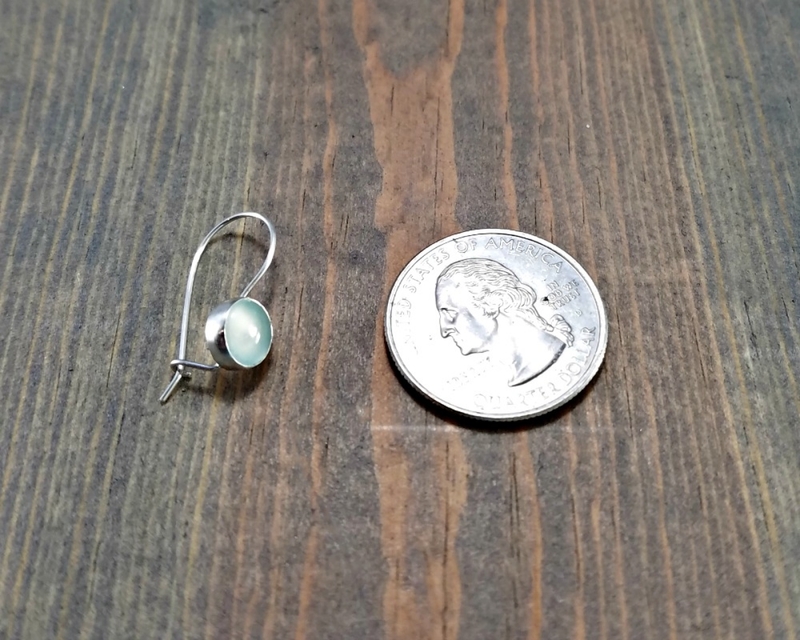 Distance from the top of the earwire to the bottom of the bezel is approximately 1 inch (2.5 cm). 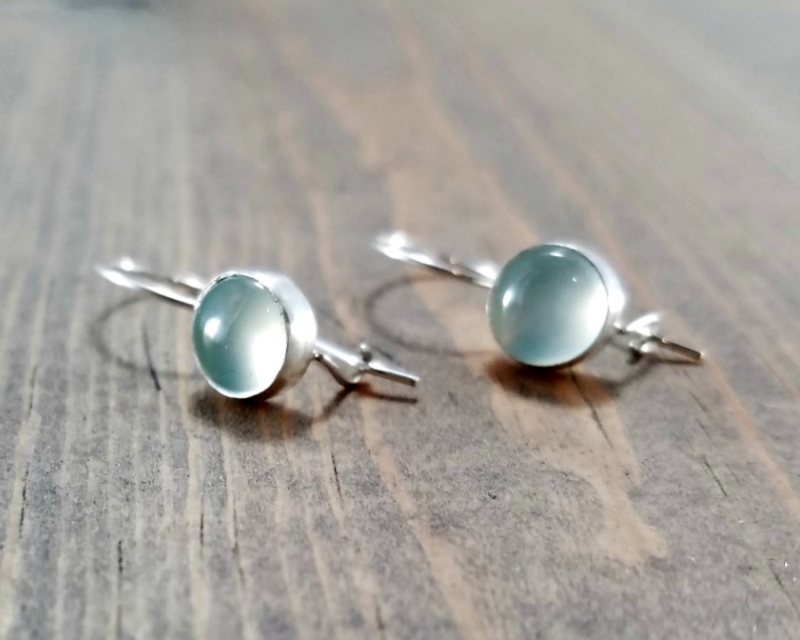 Each pair is individually handmade so dimensions may vary slightly. This is my second order from BloomingOak, and I am AGAIN very happy with my purchase. 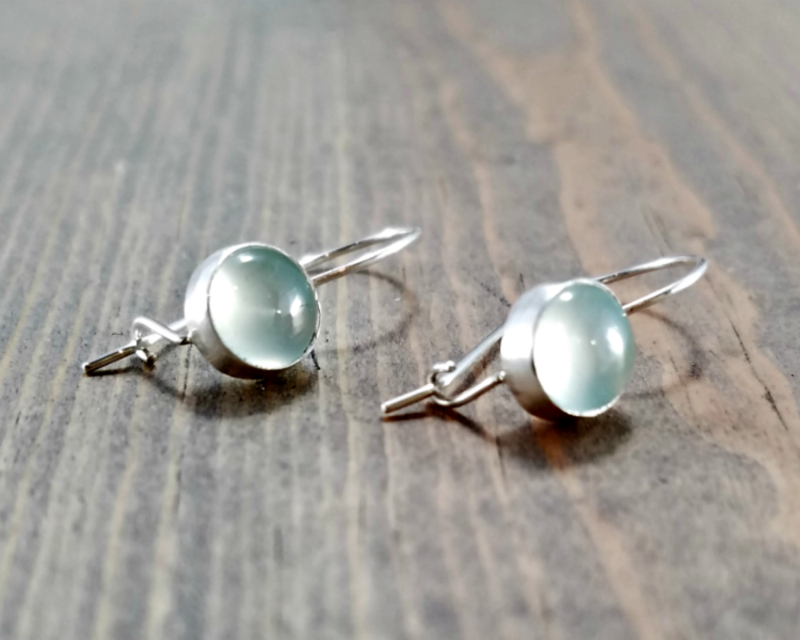 The earring are lovely and perfect, the box they came in was a nice touch, and the shipping was very fast. Thank you so much!